Server seems to be working okay again, phew. All I did was make some basic changes to protect against automated DOS/hacking attempts, so either it was something wrong with the host I'm using that coincidentally cleared up, or it was just too much load from rejecting those brute-force attacks! In fact these can be pretty much any shape as long as they don't have any inner radii that are too small, but there's something satisfying about these particular crenellations. 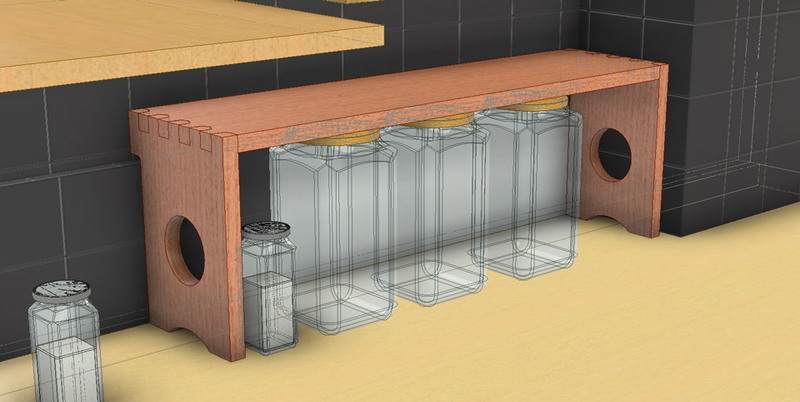 You can tell that there are some errors here, but this has more to do with poor workholding (which mostly has to do with trying to avoid wasting any perfectly good scraps) than issues with the tool. Another thing that's crazy easy to do is engraving a drawing on a large area; here you can see some spirals. Enjoy 'em now because there's pretty much no way anybody is gonna see those spirals with lentils on them 24/7. When I was back in CT for thanksgiving I went through some old boxes of notebooks and things from my K-12 days, and collected and scanned some pretty funny stuff. I was going to share a bit of that, but I'll just save it for next time since it's three minutes to the deadline here! 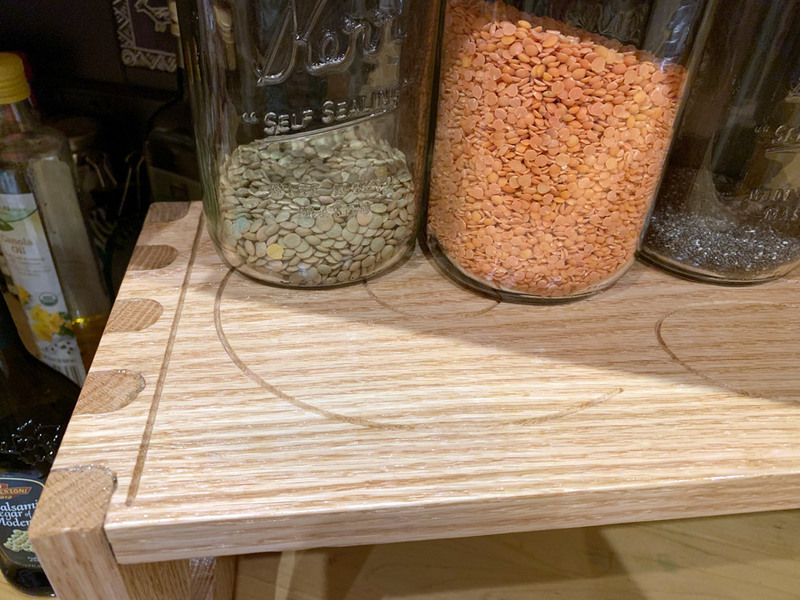 Today I bought as close a mason jar to yours as I could find (Bell, rather than Kerr, but same size), because I wanted better lentil storage and figured you know what's what. Happy new year! You have less than half a day to post a blog entry in the next month. Pasta sauce jars. Empty first, or course.